Brazil’s Public Prosecutors have called for the closure of a notorious security firm accused of carrying out at least eight brutal attacks on Guarani communities, and of killing at least two of their leaders. Ranchers reportedly paid Gaspem 30,000 reais (US$ 12,700) each time it violently evicted Guarani Indians from their ancestral lands, which are now occupied by ranches and sugarcane plantations. The Prosecutors describe the company as a ‘private militia’ and an ‘organised group which uses violence against the Guarani in the south of Mato Grosso do Sul state, at the hands of brutal people appointed as ’security guards’’. They have called for the company to be dissolved and for 480,000 reais (over US$ 200,000) to be paid to the Guarani in compensation. The Indians have reported that Gaspem employees, known locally as ‘pistoleiros’ (gunmen) have repeatedly threatened to kill the Guarani of Apy Ka’y community, whose roadside camp was recently devastated by a fire started on the sugarcane plantation which has taken over their land. The gunmen monitor the Indians day and night from a jeep with blacked-out windows, and regularly fire shots towards the Guarani’s camp. Gaspem is being investigated for its possible involvement in the torching of Apy Ka’y in 2009, and for attacking hundreds more Guarani men, women and children who have desperately tried to return to their ancestral land, unable to further tolerate the appalling conditions they are forced to endure in their roadside camps and overcrowded reserves. The firm’s owner, Aurelino Arce, was arrested last year in connection with the murder of Nísio Gomes, Guarani leader of Guaviry community. 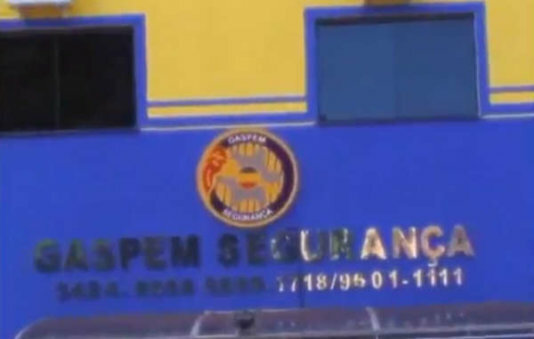 The Prosecutors’ investigations also found that Gaspem contracted untrained security guards, and that its employees carried weapons illegally.